12 Experts. 11 Audio recordings. One affordable price. A virtual event that celebrates love and the way our businesses can be an extension of the love we have for ourselves, and the people we are called to serve. Our experts are sharing how loving, respecting, and honoring yourself can enable you to move mountains and create a business that you love. Just Click on the Image to the Left to Get Access to these Amazing Calls. How To Use Self-care To Create A Life & Business You Love. How To Use Self-worth To Create A Life & Business You Love. Missed the live event? We’ve got you covered. Own all 11 recordings of the expert interviews & bonus free gifts for just $47. 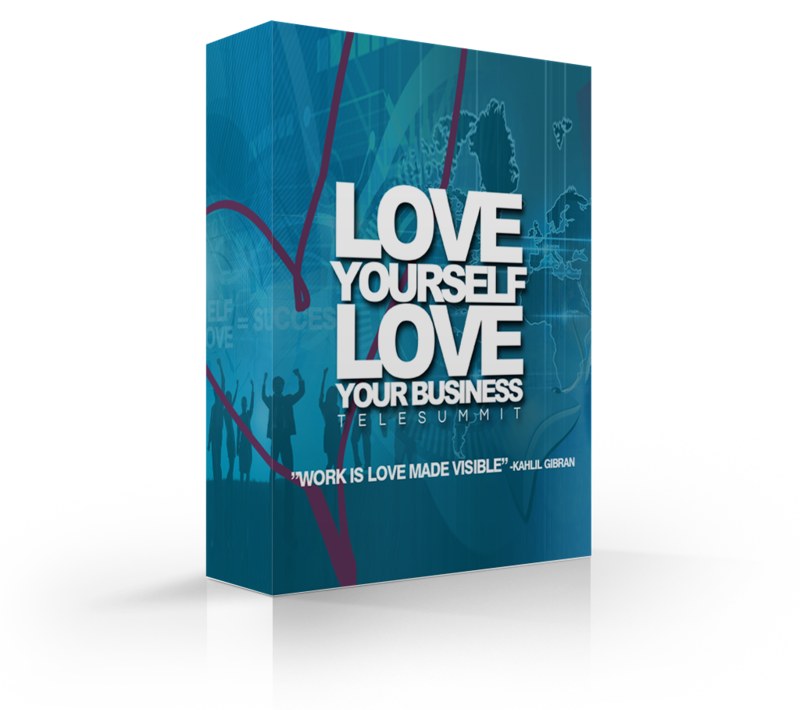 Not only will the amazing wisdom and tips that the experts shared help you to begin or continue to create a loving relationship with your business and yourself, but you’ll also help LOVE YOURSELF LOVE YOUR BUSINESS pay it forward to help an audience-voted charity or organization. There are no refunds for this experience since it's all about inspiration. What you do with the recordings and how you apply this advice to your life and business is to your own discretion. Got questions? Want to share your comments?